PARK CITY, Utah (March 6, 2019) - U.S. Ski & Snowboard, the Olympic National Governing Body (NGB) of ski and snowboard sports in the USA, has announced today that Deer Valley Resort will serve as an Official Training Site for American freestyle ski athletes through 2022. The agreement will see U.S. Ski & Snowboard athletes training on Deer Valley’s world-class moguls and aerials sites through the 2022 Olympic Winter Games in Beijing, China. Deer Valley is the annual preeminent stop on the FIS Freestyle World Cup circuit and has been hosting aerials and moguls events since 1999, including the 2002 Olympic Winter Games. Freestyle skiing runs through Deer Valley’s history. The late Stein Eriksen, known as the “Father of Freestyle,” served as the resort’s Director of Skiing for more than 35 years and the resort has been an official training site for the U.S. Freestyle Ski Team since 2013. Most recently Deer Valley played host to the 2019 Aerials and Moguls disciplines during the FIS Snowboard-Freestyle-Freeski World Champs event during which three Americans podiumed at dual moguls on the final evening to a hometown crowd of over seven thousand screaming fans. As part of the agreement, the U.S. Moguls team will train on Champion ski run in season (December to April annually). The Champion course is a champion-maker. Renowned as the longest and steepest moguls course on the World Cup circuit, athletes who podium on it are likely to be the athletes on Olympic podiums. U.S. athletes will have exclusive access to full length mogul lanes, including top and bottom jumps. Deer Valley will provide snowcat time for two course builds per season (excluding the World Cup build) and lift and/or snowmobile access along training lanes. If available, the White Owl ski run aerial site will also serve as a training opportunity for U.S. aerial athletes. For more information about U.S. 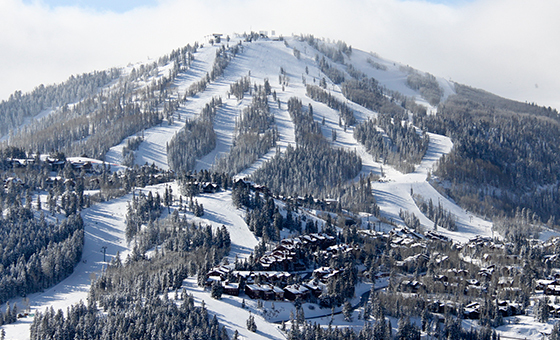 Ski & Snowboard and Deer Valley Resort’s partnership, contact U.S. Ski & Snowboard’s Director of Marketing and Communications, Tom Webb, at tom.webb@usskiandsnowboard.org. U.S. Ski & Snowboard is the Olympic National Governing Body (NGB) of ski and snowboard sports in the USA, based in Park City, Utah. Tracing its roots directly back to 1905, the organization represents nearly 200 elite skiers and snowboarders in 2019, competing in seven teams; alpine, cross country, freeski, freestyle, snowboard, nordic combined and ski jumping. In addition to the elite teams, U.S. Ski & Snowboard also provides leadership and direction for tens of thousands of young skiers and snowboarders across the USA, encouraging and supporting them in achieving excellence. By empowering national teams, clubs, coaches, parents, officials, volunteers and fans, U.S. Ski & Snowboard is committed to the progression of its sports, athlete success and the value of team. For more information, visit www.usskiandsnowboard.org. This message is intended for rmayfield@deervalley.com.